This van when packed up is 16ft in length but when expanded adds an extra 8 feet to size of the van totalling approx. 24ft of cabin space. 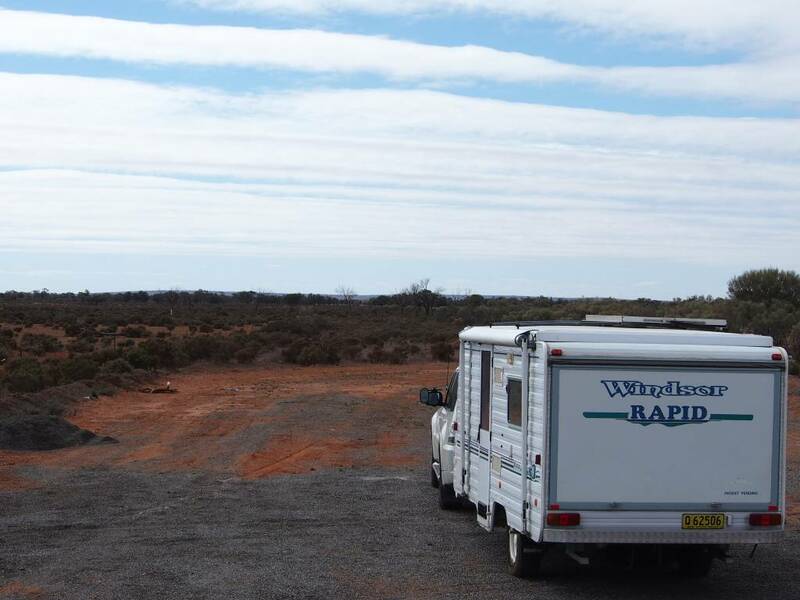 Semi Off-Road Van setup for either short stay (3-4 days) free camping or for longer terms in a caravan park. Once the Bed ends are opened up and roof popped up it will accommodate 6 persons, comes with an optional Annex to add an extra room for extra people or a pet if need be. Comes standard with water storage 160ltrs, 4 gas burner stove & grill, 150 Ltr 12v compressor fridge, roof mounted Solar panels, 2 x 120Ah House Batteries, Hot water, rollout Awning, radio, TV antenna, easy to use rollout main awning, External shower , portable flushable toilet & inverter. Great water tight van, easy to tow and setup (10 mins). Van well serviced and looked after regularly, cosmetically this van is in excellent condition however please be aware it is not new, you are hiring a 14 year old Van, so has some small skuffs & marks for its age. MINIMUM 6 NIGHT HIRE Cost. 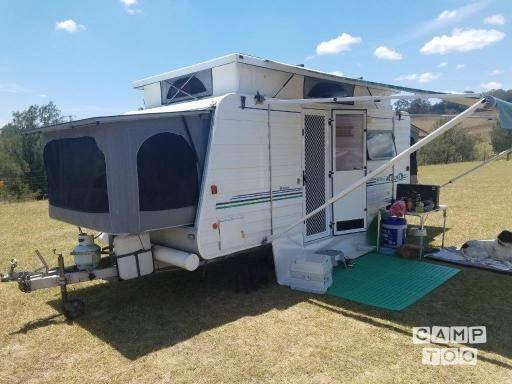 For a small extra fee ($100) I can deliver/setup/pack-away/remove van to any central coast caravan park from Entrance to Umina for you, means you don’t need to tow or setup pack away. 1. You need to be >30 yrs old to hire van and a non smoker. 2. Your tow vehicle must have full Comprehensive insurance. 3. Your car needs to have a towing capacity of =>1620 Kgs. & have a 7 or 12 pin flat trailer plug. 4. small/medium pet allowed only in the Annex area, authorization required from owner. •150 litre (12v compressor) fridge/freezer which runs off the house batteries and with the help of the roof mounted solar panels will run continuously for about 3-4 days, until you need to plug in to 240v to recharge batteries fully again. •Has bedding/mattress for 4 people in the expander ends, bedding for 5/6th person is utilising lounge area, or you can bring bunks for the Annex area. Needs to be returned in pre-pickup condition. Permission from owner required for Pet and only in Annex area. Treat it like it was your own. Also, no rentals to Bathurst for the October long weekend. This was our first experience of a caravan holiday. It was overall a very good one too. The van was very suitable, comfortable and capable. Although smaller than many of the vans we encountered it was large enough with ample storage for our month long holiday, had very comfortable bedding and easy to warm in the colder regions we visited. The fold out bedding creates a surprising amount of extra room and the van has most of the mod cons for easy living and many extra features. Peter has maintained the van in very good condition. It is equipped well ready to go and Peter was pleasant and easy to deal with and had clear handover instructions including backup contact during the trip if needed. Je kan de caravan ophalen in Lisarow bij Peter.